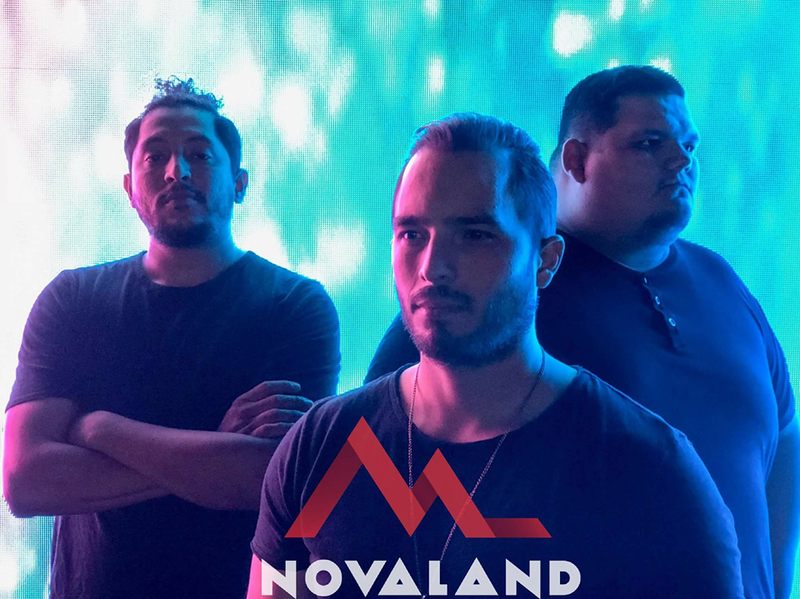 Anything but ordinary, topped with a scoop of “inspiration and groovy-licious-ness” is the core of uprising band NovaLAND. They are the most energetic, positive, hilarious group of guys to hit the music scene in a while. What makes them special as individuals and as a whole is that their sole purpose is to bring a message of hope and love through the belief that dreams really do come to life. NovaLAND is composed of five members all from El Paso, TX and Ciudad Juarez, Mexico. Daniel (bass, vocals), Nate (drums), David (lead guitar), and founding brothers Richard (lead vocalist) & Kiki (keys, vocals). They had their encounters and began getting to know each other at church revivals, and plan to bring a revival themselves. Just and as their name suggest they are about venturing into new lands and new turfs. They began their adventure in 2011 and haven’t stopped ever since. They keep excelling with the motivation of knowing that their lyrics and music touch lives and change hearts. Their music is a merely a reflection of living experiences that God has put words and melodies to. Their style is influenced by artist ranging from Hillsong United and Israel Houghton to Maroon 5 and Bruno Mars. Their music is a collaboration between themselves and also with people such as Seth Mosley, Phillip Larue, James Tealey, Juan Otero, and Micah Kuiper. They are currently working on their first album set to be released early of 2014.